A new update to Google Photos has added a feature which makes it easy to avoid seeing specific pictures by hiding them. A scenario is if you’d rather not see your ex pop up in your Google Photos collections, but you still don’t have the heart to delete those pictures. Google’s “face grouping” facial detection feature for Photos is already available for users in the U.S. and it will soon make its way to more markets, rolling out to Canada, Latin America, Australia, the Caribbean, New Zealand and parts of the Middle East, Asia and Africa. 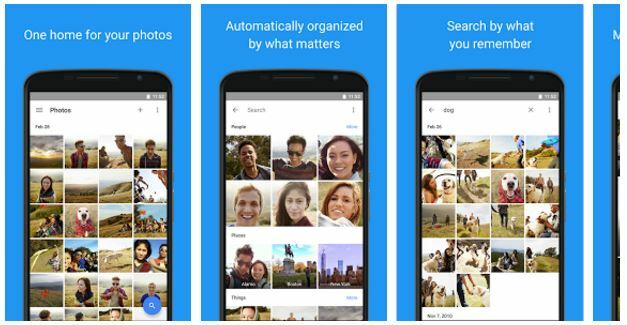 The facial detection feature in Google Photos version 1.8, is what users will use to be able to easily find or hide photos of certain people. “See similar faces grouped together in Search, and privately label faces to quickly search for the person you’re looking for. Tap the search button to get started,” Google explains. The same feature allows you to hide images of a person such as your ex so they won’t show up under People in your Google Photos Collections. Google Photos can automatically organize faces and people in your online image library so you don’t have to and images of the same person will be grouped together so you can find or hide them more easily and thumbnail photos will represent folders, allowing you to label them for quicker access. The new updates have already started rolling out for Android users, with the latest version of Google Photos available now on the Play Store in select markets.